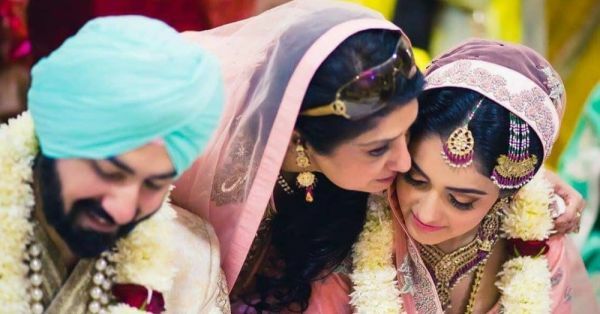 8 Little Ways To Bond With Your Mother-In-Law Before The Wedding! From getting accustomed to a new lifestyle to connecting with members of your husband’s family, the transition does take time. And when it comes to bonding with your mother in law, there is always a sense of overwhelmingness that can sometimes be difficult to explain. You cannot treat her as your “mom” just as yet, but deep inside you know that she has been in your shoes and understands the change you are going through. Thus to break the ice before the wedding, here are some little ways you could bond with your MIL. Trust us, they all work! You don’t need a reason to celebrate. Just call her up one morning, ask her if she free and plan an impromptu lunch date with her. Trust us, these plans always work! Wouldn't you take your mother out on lunch dates? Do that with the MIL and see the magic working. Sometimes, little efforts like these work very well. Make sure you call your to-be-MIL once in a few days just to take updates, share some gossip and ask about the family. This will make her feel very special and will also establish a connect between the two of you. You both know him very well but let’s just accept it, she knows him way better than you! Ask her about his childhood stories and little pieces of trivia that you would probably not know. We bet, she would love to share them all with you. Ask your MIL if she needs a hand at cooking or maybe discuss about the new recipe you saw on YouTube that you’d love to try with her. This could be a great bonding session between the both of you. Involve your MIL too by taking her along with you and your mom. You might not agree with her choice or opinion sometimes, but do hear her out. This would make her feel that you value and care about her opinion. Don’t forget to carry this handy M.A.C. Prep + Prime Fix + (Rs 1,000) to give an instant boost of hydration to your skin while stepping out in the sun with your MIL! You could get one for her too! If you are around your fiancé’s home, call her and ask her if you could visit her for a few hours. Drop by just for a bit just to have a cup of coffee with her. If you don’t agree with something she has said or done, then tell her about it just like you would with your mother. We know, it is easier said than done, but honesty will help you build a stronger relationship with your MIL. Make your MIL feel like she is getting a daughter and not losing a son! Most importantly, thank her for raising the man of your dreams! Trust us, if you say it and actually mean it, your mother in law will instantly fall in love with you. Gift her this Super Mom Ceramic Mug (Rs 399) to thank her and letting her know what a super mom she is.